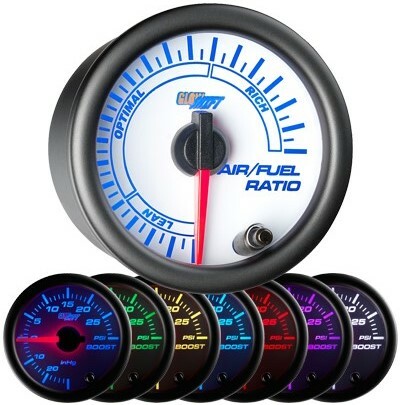 Our White Gauge Series (7 Color LED) features ultra-high performance gauges for both gas and diesel powered vehicles. Keep a close eye on the performance of your vehicle to make sure its running at optimum performance and within specification. The White face 7 color LED Gauges come standard with incredible features including microprocessor controlled stepper motor technology which allows for extremely accurate gauge readings and incredibly smooth needle movement, selectable 7 color LED through dial lighting, a White gauge face with a magnified clear lens, as well as an illuminated red needle that sweeps 270 degrees. We offer a variety of White 7 Color Gauges including Boost Gauges, Air / Fuel Ratio Gauges, Pyrometer EGT Gauges, Fuel Pressure Gauges, Diesel Truck Gauges, and many more! 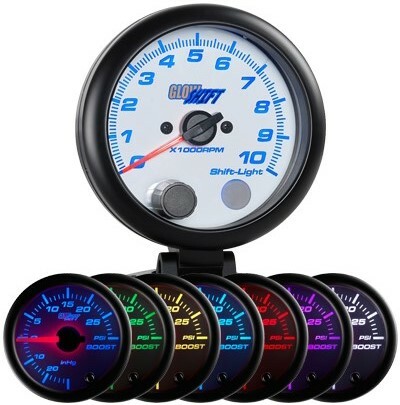 Every White 7 Color Gauge includes all sensors, wiring harnesses, mounting hardware and instructions, as well as a one year limited warranty and free lifetime technical support. These are accurate gauges and will give you the looks and performance you expect! 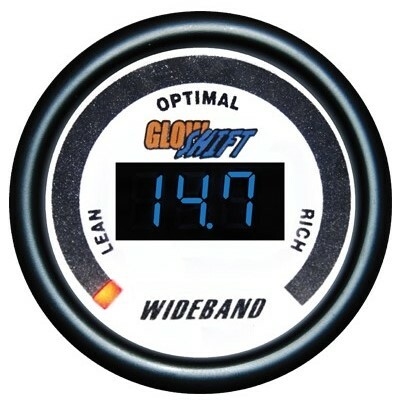 Take a look at the 7 Color LED White Gauge series styles we offer below to select the performance gauge you need for your car or truck. 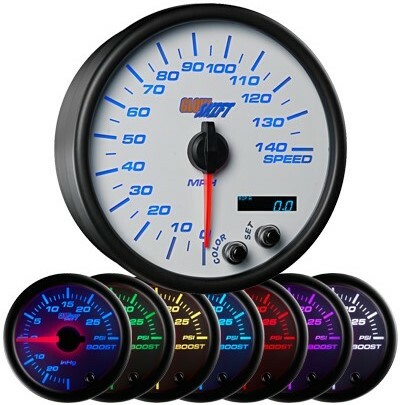 Click here to return to our mainGauge page for other great styles like our 7 color White Gauge Series!